When it comes to beer, nothing beats the German's discriminating taste for this particular beverage. The Germans are considered one of the top consumers of beer in Europe, and many think they are one of the most knowledgeable species when it comes to this much-desired commodity, and that they cannot go wrong in determining which is the best tasting beer in the world. Dr. Markus Schramm, president and chief executive officer of BMW Motorrad based in Munich, is proof that Germans can sometimes err when it comes to classifying beer products. 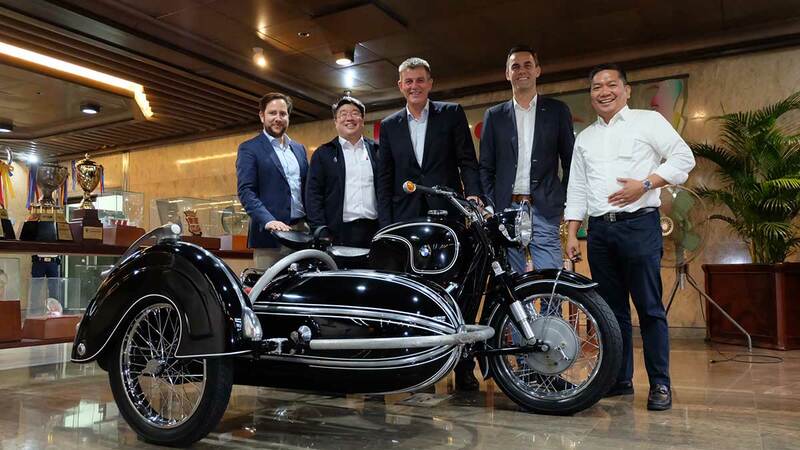 But before we proceed, we state the main reason of Dr. Schramm’s two-day visit to the Philippines, along with Timo Resch and Miguel Llabres-Pohl (BMW Motorrad sales head and Asian region director, respectively). The three arrived in the country last Tuesday night to pay a courtesy call to Ramon S. Ang (RSA), chairman of the SMC Asia Car Distributors Corporation, the exclusive distributor of BMW vehicles and motorcycles in the Philippines. As everyone knows, SMC means San Miguel Corporation which produces the world-class San Miguel Beer. Again, RSA is the majority shareholder of this highly-successful beer company. 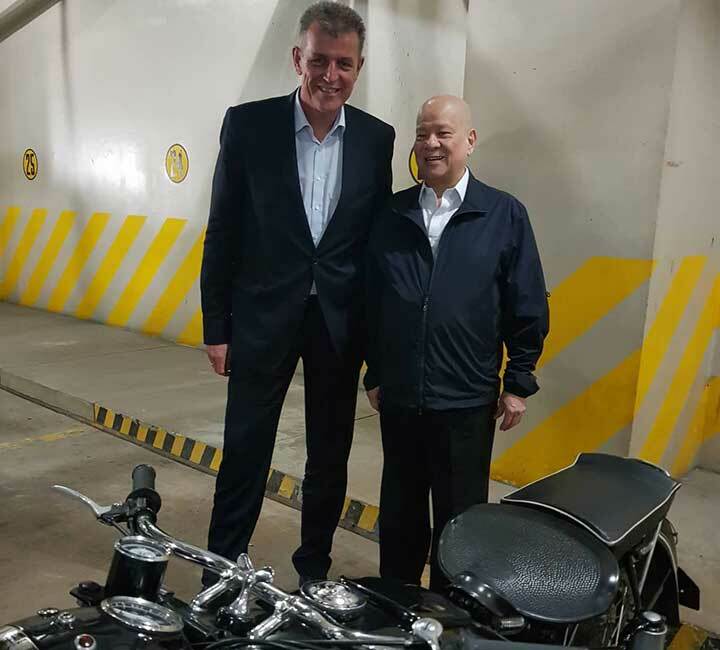 At the SMC main office in Mandaluyong City, Schramm gave the local motorcycle media some insights on the future plans and programs of the German motorcycle brand. We were also told that Dr. Schramm's group also took time to meet with the executives of the Laus Group, which owns a BMW Motorrad dealership in Pampanga. From sales growth and future product line-up of BMW Motorrad products, the discussion strayed to beer products. The media group presumed that RSA had already hosted a beer-tasting session for the three VIPs. So, we asked Dr. Schramm: How did you find the taste of San Miguel Beer? Although the beer-tasting session had yet to happen later in the evening, Dr. Schramm's smile became even brighter when he unleashed his beer story that happened during a family vacation somewhere in the Caribbean a few years ago. The BMW executive only found out about San Miguel’s origin when Don Ramon asked him what his favorite beer product was. 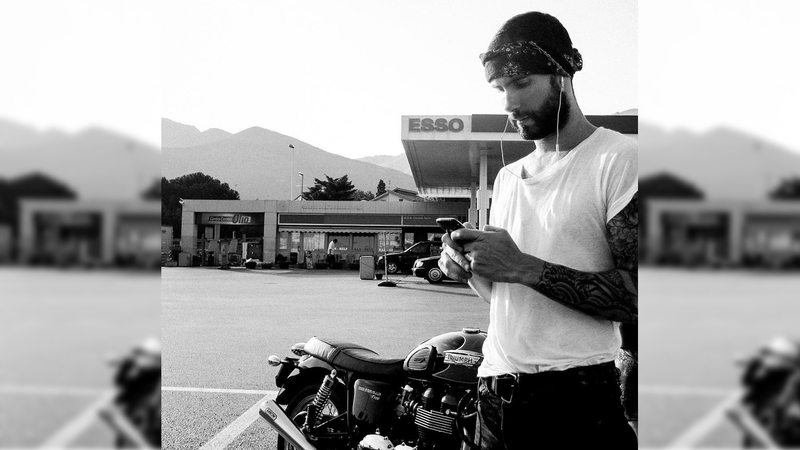 "So, I was wrong. 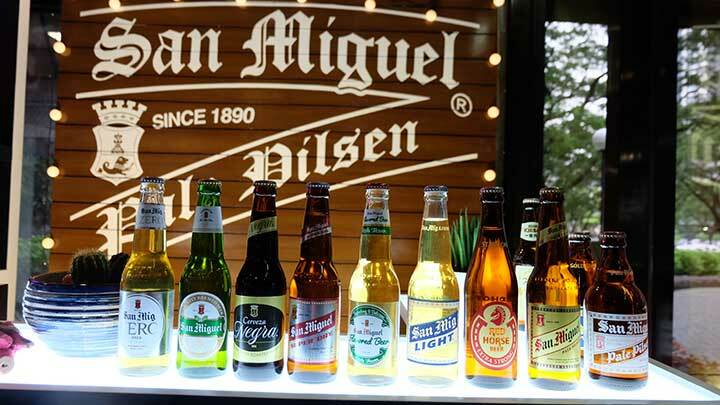 Now I like it (San Miguel Beer) even more," Dr. Schramm added. We can’t imagine how flattered RSA was when he heard what his visitor’s favorite beer was. An SMC member even witnessed how his boss’ face lit up when Dr. Schramm unleashed his wonderful thoughts on the legendary Philippine beer. Seemingly, RSA has got himself a new endorser for San Miguel Beer. Are you ready for more ‘beer diplomacy’? 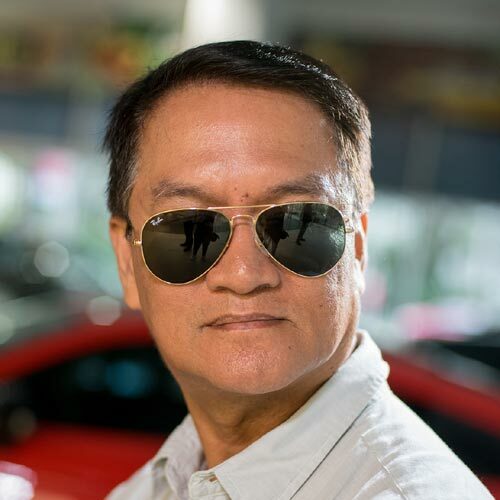 Dr. Schramm and the two other top executives of BMW Motorrad-Germany will probably be swimming in San Miguel Beer later in the evening, raising endless toasts to the jaw-dropping 70% sales growth of BMW motorbikes in the Philippines in 2017.